A Tall-Grass Prairie in Adams County. 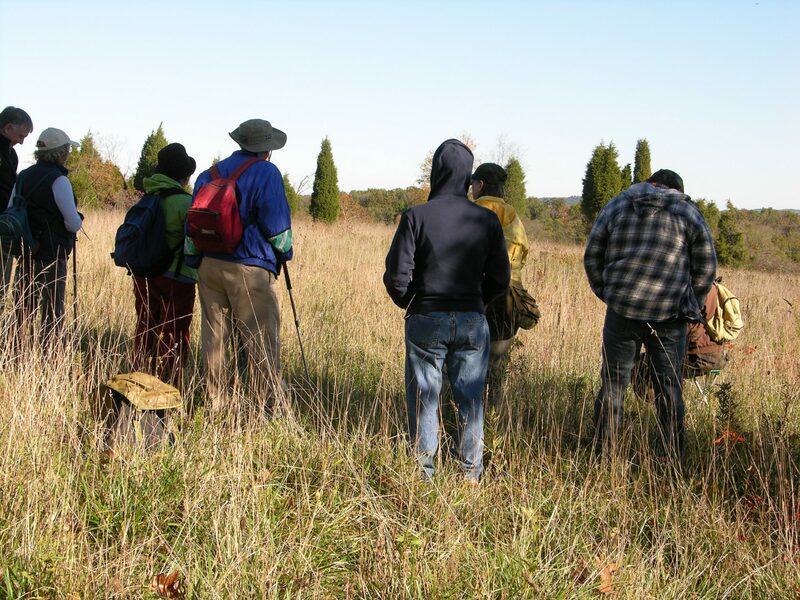 Located outside of Peebles, just off of Mendenhall Road, Plum Run Prairie is only a few miles north of another Arc of Appalachia preserve, Ka-ma-ma Prairie. Despite the two prairies’ close proximity, their botanical assemblage of plants is strikingly different. Whereas Ka-ma-ma Prairie is known as a short-grass prairie, the most drought-resistant of all prairie types, well-adapted to thin infertile soils; Plum Run is a tall-grass prairie. Its dominating Indian Grass and Big Bluestems wave tall above one’s head and give evidence to the deeper, richer soils that sustain them. An Exceptional Prairie Worth Saving. Plum Run Prairie is one of the larger prairies remaining in the state, and one of the few such large tracts found in southern Ohio. This is truly an exceptional prairie, the site having been officially listed with the Ohio Division of Natural Areas and Preserves as one of the top 40 sites worthy of protection in all of Ohio. At nearly 140 acres, with at least forty acres pristine, and the remaining acres in the farm coming back into prairie even without intentional management, this site has the potential to be among the largest tall grass prairies in Ohio. Read More About Ohio’s Vanishing Prairies. Protecting an Extremely Endangered Plant. 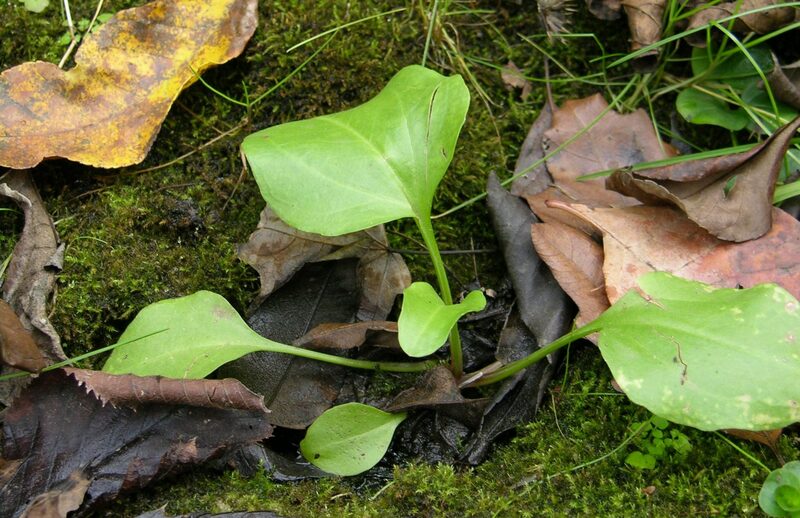 Eleven state-listed species are found at Plum Run Prairie, the most notable being Plantago cordata, or heart-leaved plantain. This extremely endangered plant grows in clear small stream beds with no history of water flow disturbance. At one time heart-leaved plantain was scattered throughout the state, but due to stream disruption, it can now only be found in the Plum Run drainage and two other small sites, where it is declining throughout. Click here to learn more. A Secure Home for a Rare Butterfly. 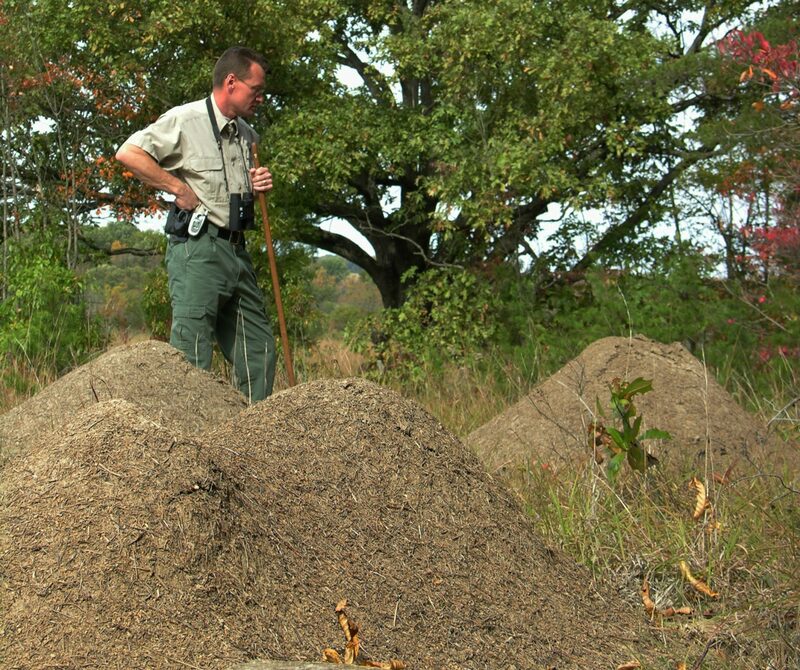 Dotting the open fields are numerous Allegheny Mound Ant colonies, a signature species of the prairie. 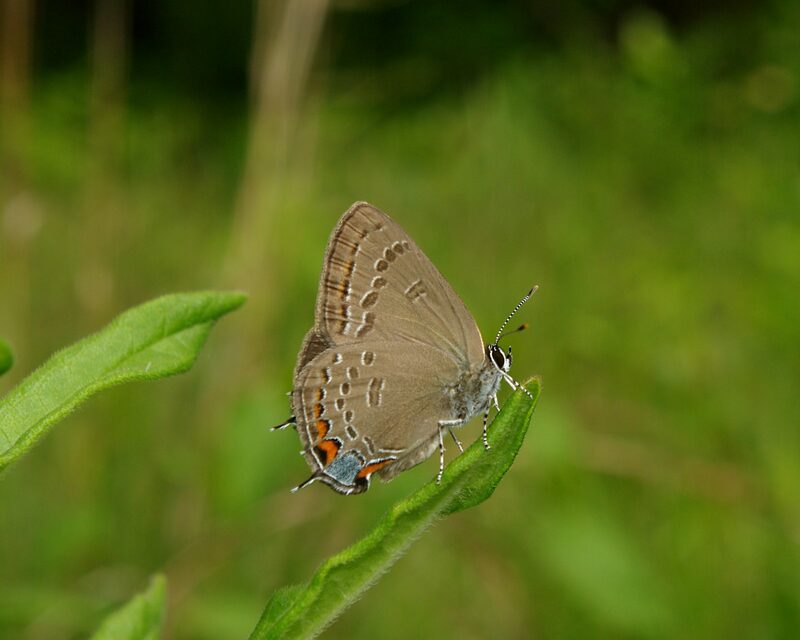 One of the prairie’s many rare butterfly species is the Edwards’ Hairstreak, which feeds on young scrubby oaks. Completely dependent on these ants, the nearly helpless caterpillars are guided up the trees by the ants to graze during the day, and escorted back to the colony beneath the ground at night to protect them from predators. Without having prairie habitat to provide secure homes for the mound building ant, the rare Edwards’ Hairstreak could possibly perish from the earth.